New Year is starting to feel much older now and a weekly routine is emerging. 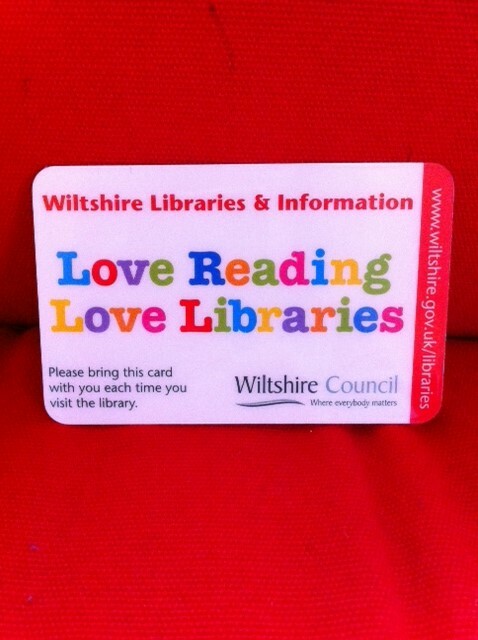 Two things I’m doing more of, so far, in 2014 are driving my car and spending time in public libraries. There are about 140 miles between my house and the four Wiltshire libraries where I facilitate weekly shared reading groups for people affected by memory loss and their carers as part of my part-time job with The Reader Organisation. The groups are up and running now but still very new in Wiltshire and part of the challenge is making people aware of the project and encouraging them to take part. Since the groups started we’ve read stories or extracts by Dylan Thomas, Katherine Mansfield and Charles Dickens and poems by Charles Causley, William Wordsworth, Eleanor Farjeon and Laurence Binyon. 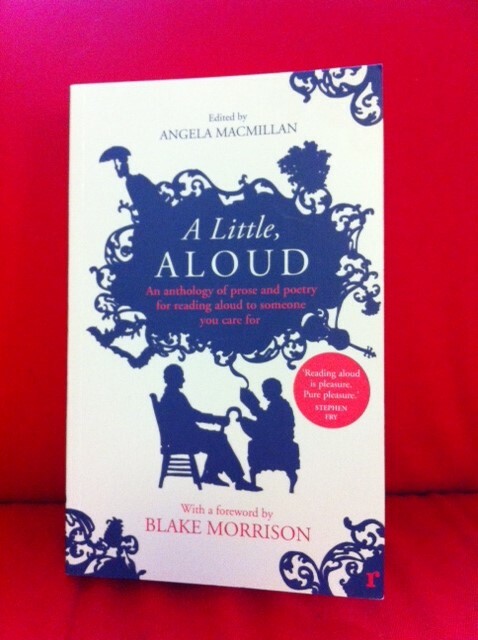 For the most part, I’m choosing work from the TRO anthology, A Little, Aloud published by Chatto & Windus, edited by Angela MacMillan with a foreword by Blake Morrison. These are texts which have been tried and tested in many different settings since The Reader Organisation first started setting up shared reading groups, so I’m really happy to be able to use this book while I’m still learning the job and don’t have much time to research different pieces of literature to read each week. More details about this and other anthologies produced by TRO for reading aloud to someone you care for here. In shared reading groups, after we’ve introduced ourselves and made ourselves comfortable with a drink, the facilitator begins the session by reading aloud to the group, with everyone following from their own copy of the story, extract or poem. Then group members take turns to read aloud, if they’d like to. We tend to read slowly and clearly with lots of pauses so that we can talk about lines, words and phrases that stand out for us or that provoke feelings and memories. We share our responses with the group or we just listen – whatever we’re most comfortable with. My aim is to make the sessions stimulating, interesting and enjoyable. At one session this week, I paused to ask the group what they were making of a Katherine Mansfield story and one man, who has dementia, said “Happy. Happy is the feeling I have right now. I’m just happy reading this story.” I know what he means. I’m starting to love this job. Nobody is quite sure what to expect when we first start the sessions. I explain that we’re going to read aloud and talk about what we’re reading and I’ve sensed a slight nervousness and uncertainty in all the groups I’ve facilitated so far. Perhaps I’m not being clear enough or perhaps people think that it just can’t be as simple as that. But once we start reading there is a sensation of people easing into the language of the story or poem, allowing it to take them over and reach them at a very deep place. This isn’t like school or an evening class. There’s no expectation of right or wrong answers. It’s all about our personal responses to what we’re reading. Once we start reading and talking, the anxiety vanishes, even if we’re engaging with, say, the cruelty of Miss Havisham and Estelle to Pip in Great Expectations. Perhaps shared reading provides a safe place to confront challenging feelings and memories, to acknowledge them but not to be overwhelmed by them. I mentioned libraries at the start of the post. This job is another reminder of how much I value them. I’ve written about this before and it’s lovely to be working in libraries again. I’m aware that many libraries and library staff are still under threat of closure and job cuts and this will be such a loss for our communities. Shared reading groups are one example of how libraries continue to serve communities and provide vital services for people who might otherwise be overlooked. Well, yes, I have to admit it, I’m enjoying being behind the wheel again. I’m very much a public transport person and will always walk, bus or train if there’s ever an option. But these libraries are miles apart from each other and I sometimes have to carry packs of books, a tea urn, milk and biscuits so it would be difficult to manage without my 13 year old Renault Scenic. These days I rarely reach for the stereo button (turn back the clock and you would have found me changing gears in time to loud rock music and, later, a good arts programme on BBC Radio 4); I prefer instead to drive in silence. The journeys inbetween libraries, to and from my house, on mostly rural roads through the Wiltshire countryside with a beautiful stretch of the M4 motorway thrown in for good measure (motorways ARE beautiful when the traffic is sparse and the roads are smooth) are a glorious time to be silent, to imagine, to think. Sometimes this is the best time of my week.